Do you remember all your FIRST experiences being an "adult"? Perhaps from financially independent to building your own family? At my current age (mid-twenties), many people have been telling me to buy my own car, a house, and then get married etc. At the first instance, I thought it may seem a little far-fetched to talk about settling down and preparing myself for my 'own family'. But on the second thought, it is never too early to plan! Unlike our parents' era, we are so privileged now to have proper services from banks to assist us in our financial planning. So, I am here being one of the first users of the recently-launched CIMB F.I.R.S.T. Ideal financing for property / car / tailor made personal loan. Customise your own investment portfolio and accumulate wealth. Enjoy cash rebates when you use credit card. 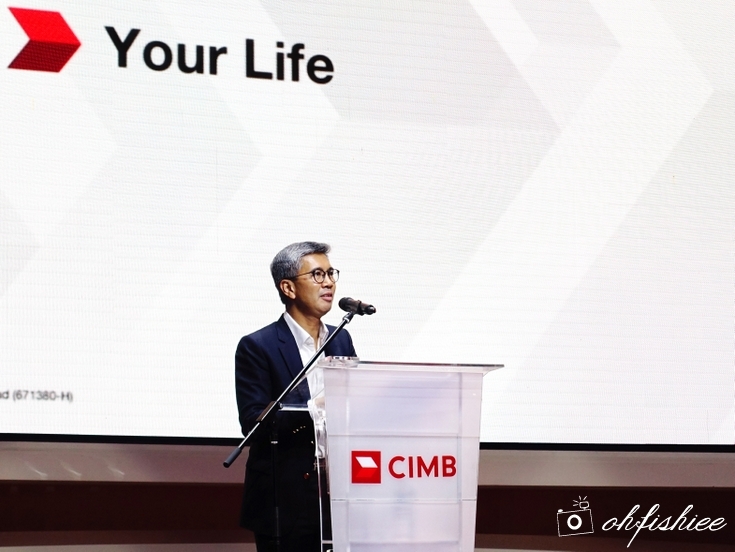 was here with us during the launch of CIMB F.I.R.S.T. to give us a better insight of this financial tool. Mr. Desmond Teoh, Regional Head of Preferred Banking and Segment. The launch event was also graced by the fellow celebrity friends. 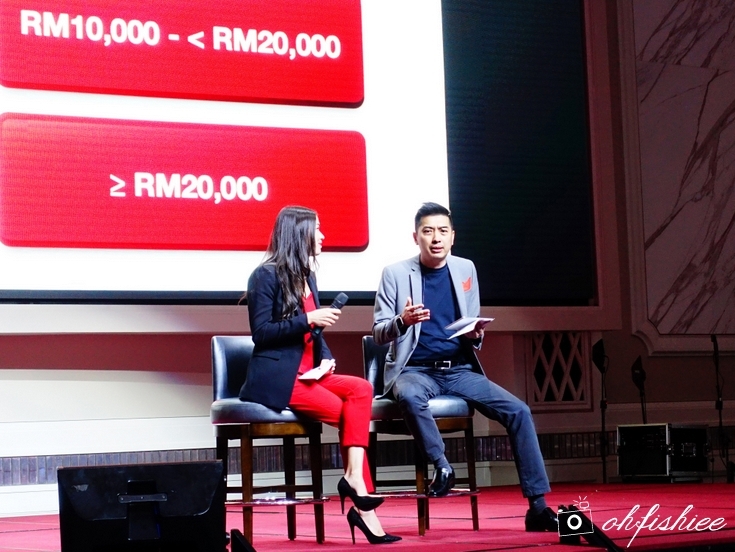 briefly explained on how does CIMB F.I.R.S.T. work. Based on the demo, it actually sounds very promising especially for those in mid-twenties who are uncertain about what's coming next in life. 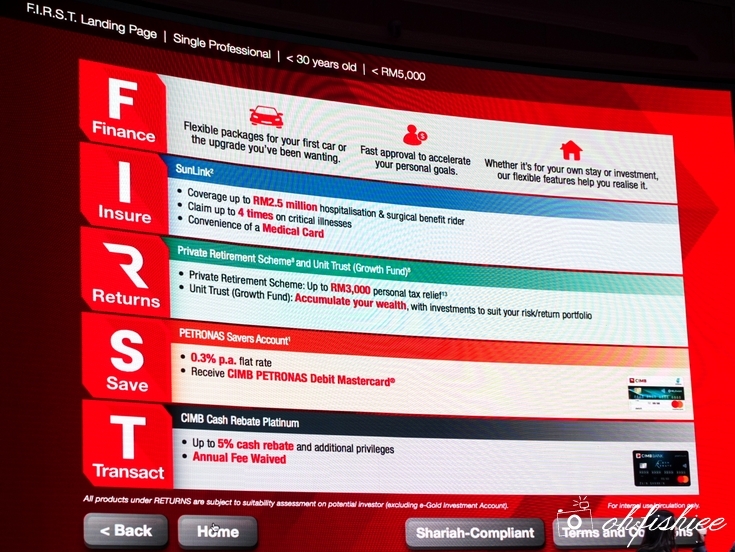 Before you walk into any CIMB Bank branch, you can always get started with CIMB F.I.R.S.T. 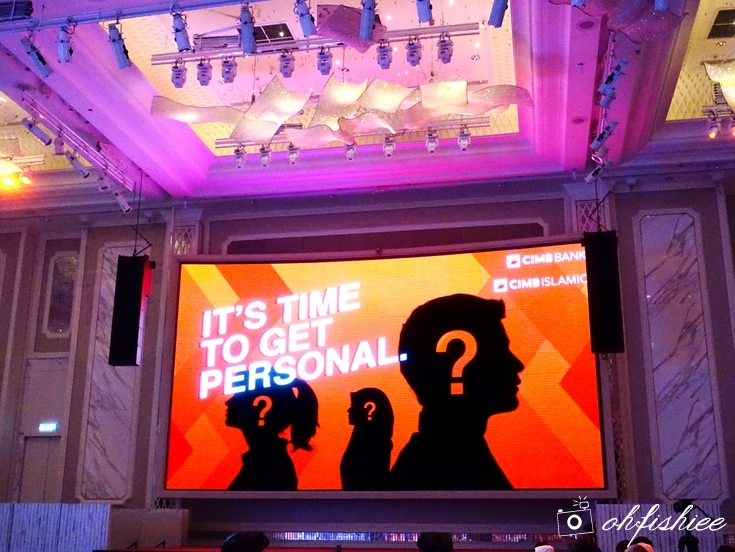 at www.cimbbank.com.my/cimbfirst to discover your financial needs or goals. All you need to do is to answer 3 questions on the self-profiler and it will map out a customized financial solution based on your profile. 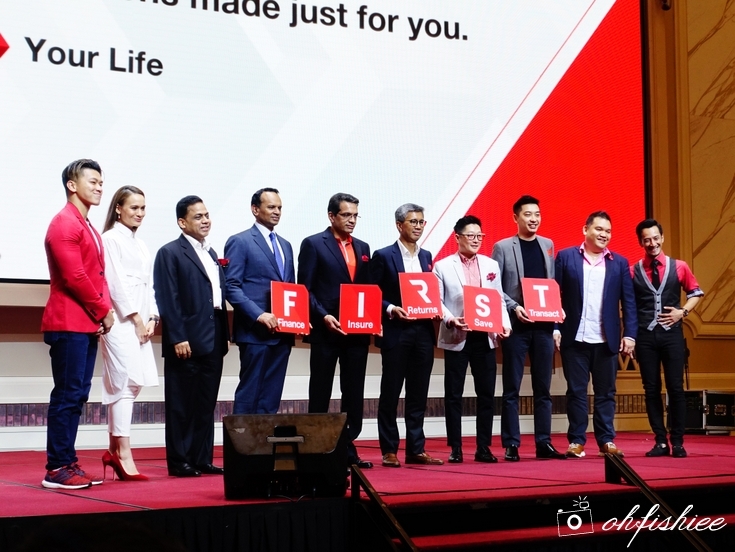 Here's how CIMB F.I.R.S.T. works. Step 1: Choose the category you are in. or expatriate, CIMB F.I.R.S.T. has some personal financial advice for you. Step 2: Input your current age and monthly income. After answering the 3 questions, the CIMB F.I.R.S.T. self-profiler will let you know what you need or can do. In other words, it gives you customized products and services to help you achieve your financial goals based on your profile or life stage. At my age, my main concerns are merely getting my own car and house. But after using CIMB F.I.R.S.T., I realise I need to plan more than that. Having sound investment, insurance plans, saving and smooth day-to-day transaction matters are equally crucial. 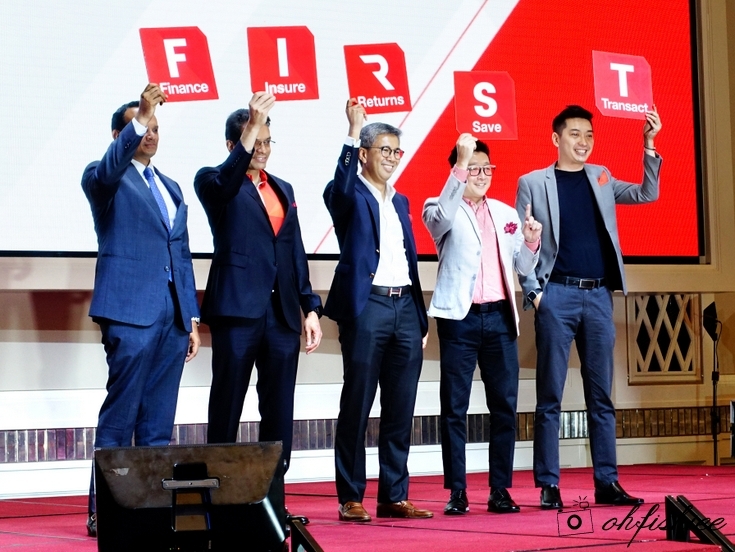 So, let's get started with CIMB F.I.R.S.T. to know what your financial needs are.